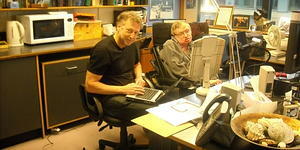 Professor Stephen Hawkings new book, The Grand Design (co-authored with Leonard Mlodinow and on sale from early September, 2010), was being flagged by the publishers during its launch as Hawking's first major work in nearly a decade and as a "controversial new theory on the origins of the universe, from the world's most famous living scientist." Please be aware that the content of this new work might be held to implicitly or explicitly tend to cast some doubt upon traditional views about God, Religion, Faith and Religious Beliefs. In The Grand Design we explain why, according to quantum theory, the cosmos does not have just a single existence, or history, but rather that every possible history of the universe exists simultaneously. As the new book's content develops the authors of The Grand Design set out to contest Sir Isaac Newton's assertion that our universe could not have arisen out of chaos due to the mere laws of Nature! They cite the discovery, in 1992, of a planet orbiting another sun than "our own", as being the first blow to Newton's belief that the universe could not have risen from chaos. "That makes the coincidences of our planetary conditions - the single Sun, the lucky combination of earth-sun distance and solar mass - far less remarkable, and far less compelling as evidence that the earth was carefully designed just to please us human beings. Not just other planets like the Earth, other universes may exist." The two quotes just mentioned often featured in this coverage and were sometimes attributed to an extract from the new book published in The Times of London on 2 September, 2010. That extract was itself presumably made available by the publishers and calculated by them to provide a boost to sales of The Grand Design through stimulating interest or perhaps, as Hawking and Mlodinow in the new book make the claim that Godly assistance or intervention was not necessary in terms of the creation of our Universe - by stirring up controversy in relation to an evident breach between traditionally creationist religion and Stephen Hawking and Leonard Mlodinow's presentation of an explanation of physical existence arising due to the operation of natural laws. Just as Darwinism removed the need for a creator in the sphere of biology, Britain’s most eminent scientist argues that a new series of theories have rendered redundant the role of a creator for the Universe. In his forthcoming book, an extract from which is published exclusively in Eureka, published today with The Times, Professor Hawking sets out to answer the question: “Did the Universe need a creator?” The answer he gives is a resounding “no”. (The expression "to light the blue touch paper" is possibly something of an anglicism and is to do with the custom of lighting the fuses of fire-works in a garden setting). KING: What, Stephen, do you most hope people take away from your new book "The Grand Design?" In your opinion, it's a great book with a lot of important points. What is the most important point in the book? 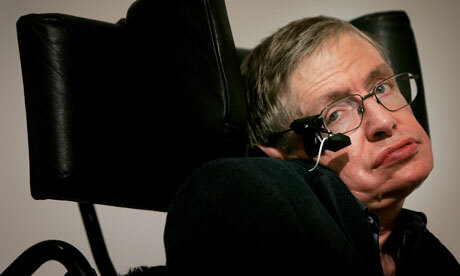 It seems that Stephen Hawkings latest thinking embraces a speculative unifying framework called M-theory, (which visualises the existence of 11 space-time dimensions and has as a principal conceptual component so-called "String Theory"), which is held to show how a multiplicity of universes – each with the possibility of differing laws of physics being in operation within them – could arise out of nothing. There is some specific God & Religion related content in the new book, (largely in dismissal of Divine Creationism), but its pages are mainly taken up with scientific matters. Much of the content of The Grand Design featuring an attempt to account for the strange nature of reality as revealed by astronomers and physicists. The authors make mention that, as they see it, only slight adjustments of the constants that control nuclear synthesis in stars would have produced a Universe without Carbon or Oxygen - making life as we know it impossible. The authors seem to suggest that the fact that they, and ourselves, are here to ponder such mind-boggling questions is in itself indicative that the laws of physics in operation in "our own" universe are such as to make it inevitable that a state of physical existence consistent with the origin of life has been in operation here - without any necessity for Godly interventions. "The book was really written to address two questions. Where did the universe come from and why are the laws of the universe so finely tuned to allow our existence." "We're not saying there is no God, we're saying there is no need for God to explain the universe. The views in the book are scientific ones." 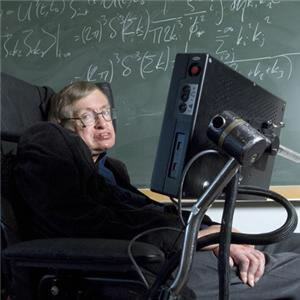 We presently have not only Stephen Hawking and Leonard Mlodinow but also other detractors from traditional religion such as Richard Dawkins and Christopher Hitchens who are undeniably, (and without much apparent hesitation or apology), tending to undermine the credibility of many aspects of "faith as we traditionally knew it" where God was closely involved in what was ultimately his creation and was capable of interceding in the lives of individual people, and in the functioning of the states they lived in, providing moral guidance through religion, punishing sins and rewarding virtues. that give convincing support to this view of Human Nature!!! Believe it or not even SCIENCE seems to agree with this view!!! Which brings to mind the opening sentence of The Grand Design's pre-release review on Amazon, which appeared under Stephen Hawking's personal by-line, and which read - "How can we understand the world in which we find ourselves?" "... but Philosophy is Dead. 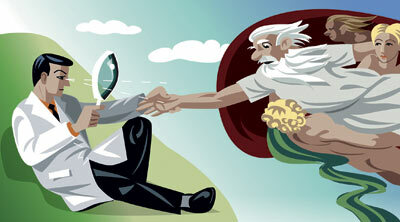 Philosophy has not kept up with modern developments in science, particularly physics. Scientists have become the bearers of the torch in our quest for knowledge." "Why is there something rather than nothing? And why this particular set of laws and not some other?" They would have us accept that their theorising, (in so far as we can actually follow it), provides a credible explanation of the physical origin of our own Universe - and of Humanity!!! For the Philosophically inclined other questions may well arise. Whether we are routinely aware of it, or not, are there Human faculties which provide "mental interpretation and organisation" to the physical world investing it with Human meaning within distinctly Human frames of reference? Are there "predispositions or potentialities" which influence how we tend to exist as individual Human Beings, collectively in our Human Societies, and internationally in the community of World States? How do such "predispositions or potentialities" arise? What about the Existence of God? Man's Divided ~ Multi-faceted ~ Nature? We have prepared some fairly meaty, but hopefully entertaining, pages about a most informative episode in European History in the spirit of attempting to learn worthwhile lessons of history about The Human Condition!! !